Removal ProcedureRelieve the fuel system pressure. Refer toFuel Pressure Relief. Raise and suitably support the vehicle. 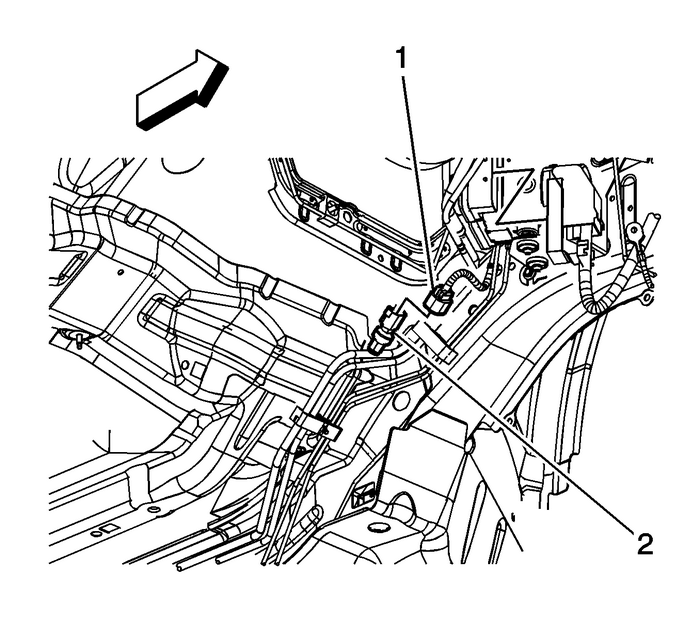 Refer toLifting and Jacking the Vehicle.Disconnect the body wiring harness electricalconnector-(1) from the fuel pressuresensor-(2). Lubricate a NEW fuel pressure sensor O-ring seal with cleanengine oil.Install the NEW fuel pressure sensor O-ringseal-(2) onto the fuel line fitting. 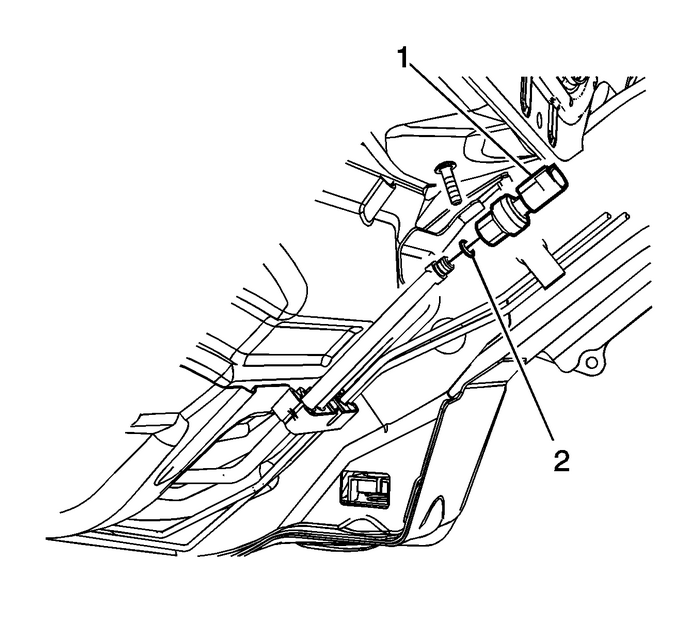 Install the fuel pressure sensor (1) to the fuel line.Tighten the sensor to15-Y(11-lb-ft). Connect the body wiring harness electrical connector (1) tothe fuel pressure sensor-(2).Lower the vehicle.Use the following procedure in order to inspect forleaks:Turn the ignition ON, with the engine OFF, for 2seconds.Turn the ignition OFF for 10 seconds.Turn the ignition ON, with the engine OFF.Inspect for fuel leaks.